Green is a Mexico City-based firm that provides high-quality architecture and construction services, balancing sustainability, technology, and artisanal processes, bringing architecture closer to the human experience. in the process of redesigning green’s identity, we sought to maintain the brand’s simplicity, including a typographic logo. 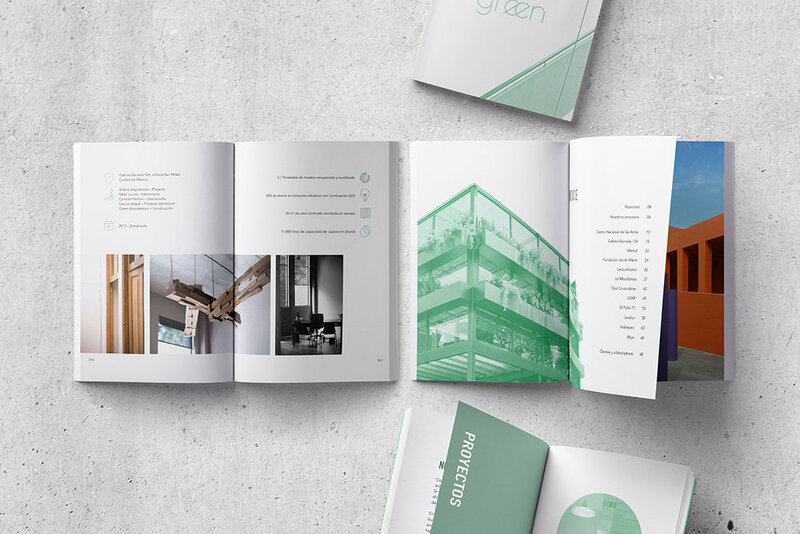 However, we decided to make a bolder use of color and photography, and use them to reinforce the brand and the firm’s name, while making their portfolio and projects the center of attention. 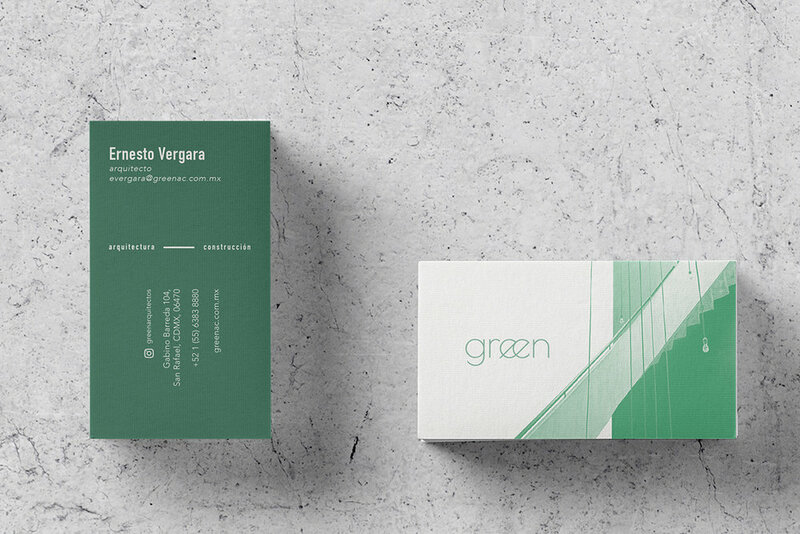 green’s identity includes their own set of icons, used to highlight and present on their website and portfolio each of their projects’s unique features, materials, and processes.